Sunday: 8:00 a.m., 10:15 a.m.
Monday, Tuesday, Wednesday, Friday, Saturday: 8:00 a.m. Weekday Mass - Monday, Tuesday, Wednesday, Friday, Saturday: 8:00 a.m., Thursday 6:30 p.m.
Saturday: 4:30 p.m. Sunday: 8:00 a.m., 10:15 a.m. Arrangements to be made at the parish office before publication to the newspapers. New members are welcome and may stop in and register during office hours, or call 989.893.4073 for an appointment. Baptism: Is celebrated at all Sunday Liturgies on the 2nd Sunday of the month. 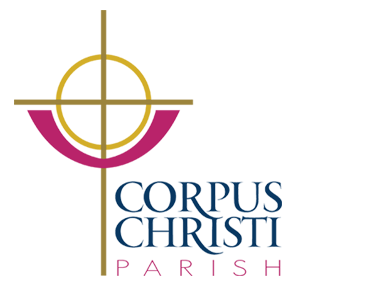 Parents must be registered active members of this or some other parish for at least 3 months prior to Baptism, and have attended the Baptism class which is regularly held once a month. Reconciliation (Confessions): Is celebrated on Saturday at 3:30 p.m. The priest remains in Reconciliation Room only as long as there are penitents present. Confessions of a more personal and lengthy nature can be arranged by calling the priest for an appointment. Marriage: Those considering marriage must be registered -- active members of this or some other parish for at least 3 months prior to requesting a wedding date. For couples seeking marriage in the Church, it is assumed that they are trying to live their lives according to the teachings of the Church. The engaged couple's living situation should reflect the Church's belief in the sanctity of marriage. Sick Calls & Care of the Sick and Homebound: Notify priest any hour when the illness is serious. Notify the Parish Office of illness, hospitalization, nursing home status as soon as possible.